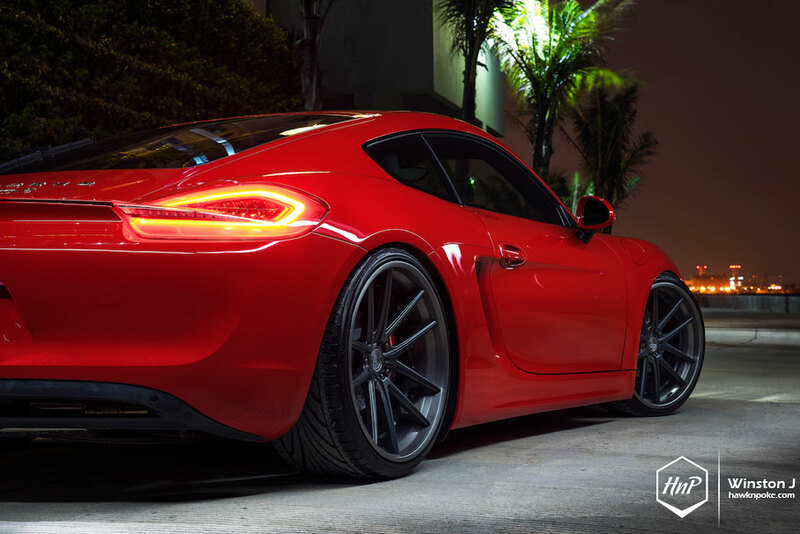 Curves. They are much more seductive than straight lines, and even more alluring to the eyes than fractal lines. Whether it’d be in two-dimensional or three-dimensional forms, curves are incredibly good-looking in most design principles. Perhaps because nature itself lends to some of the greatest curves ever existed (from earth’s curvature to seagulls’ wings). 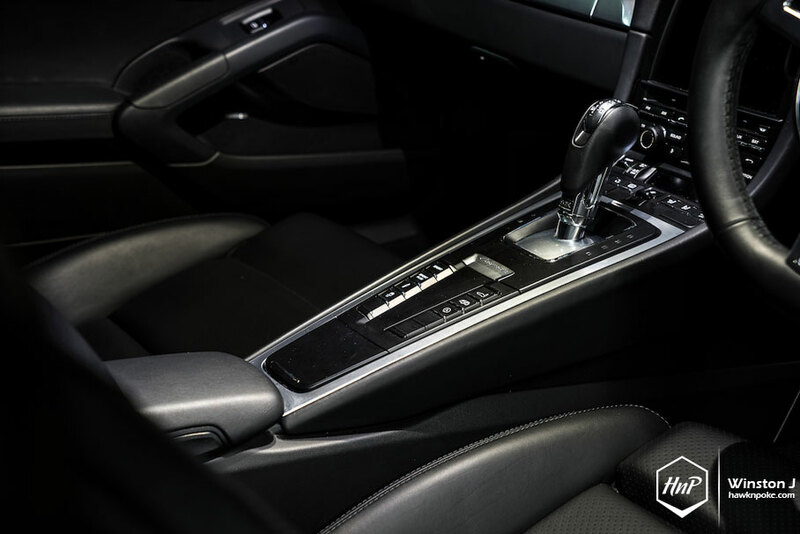 This is why designers often create everyday objects, such as cups and glasses, to complicated objects such as cars and motorbikes, using natural curves as primal inspirations. 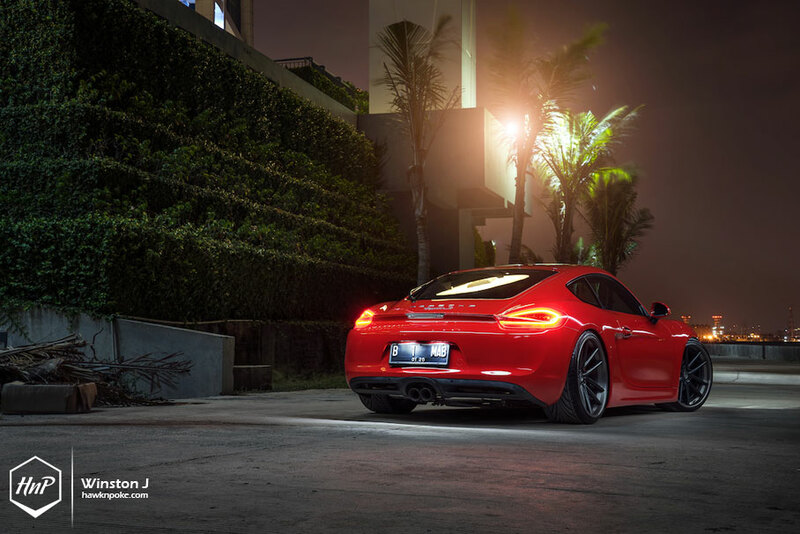 The Cayman? 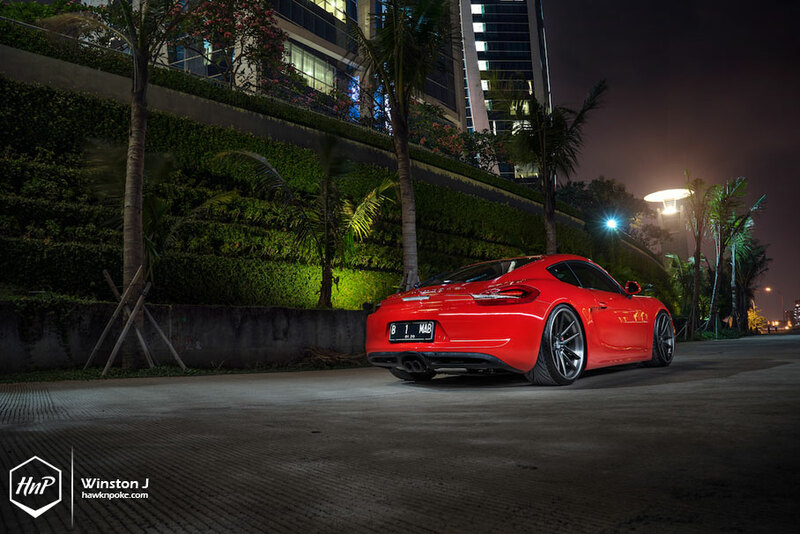 It’s definitely one of the sexiest curvy design Porsche has ever made. Drawing curves, however, has never been an easy task. 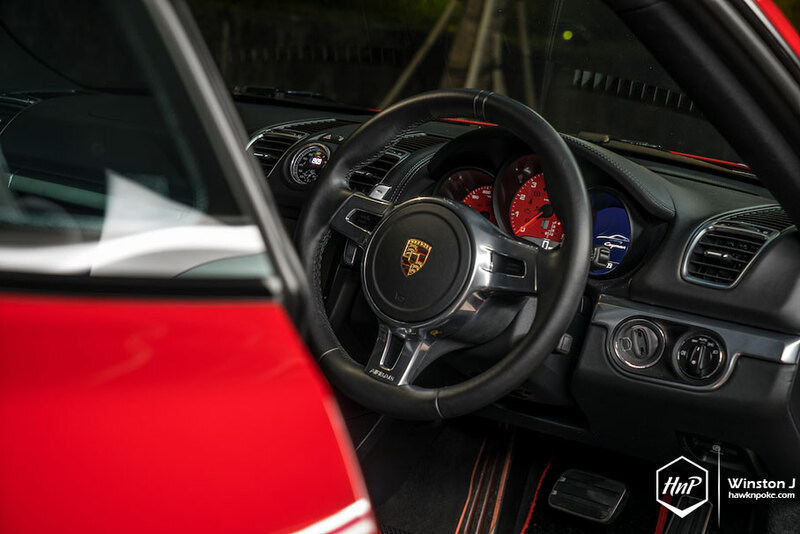 Replicating the natural curves we found in nature and forming them onto a state-of-the-art automobile is the skill best left to Porsche designers. 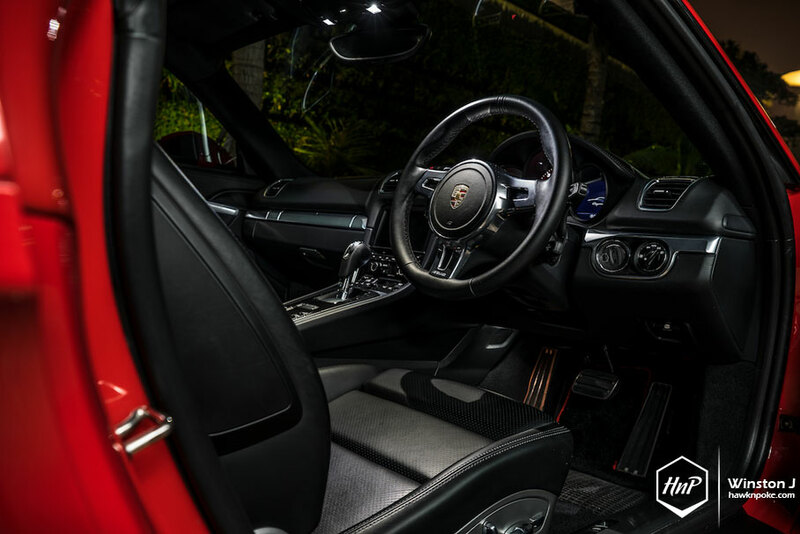 With decades of experience evolving the curvy design of a 911, they’ve successfully combined nature’s greatest charisma with Porsche’s modern aerodynamic technologies. 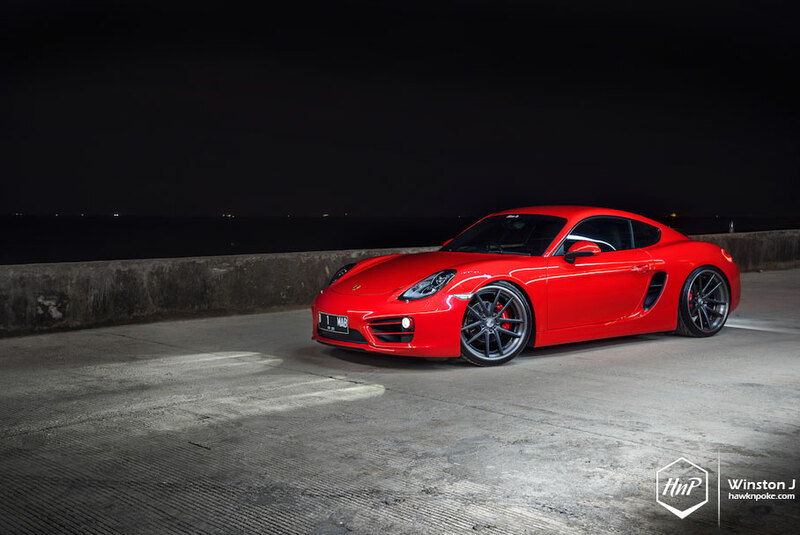 Through this Cayman, however, they’ve even been taking things wilder than 911s, infusing a much sportier and rebellious personality to the company’s compact sportscar. 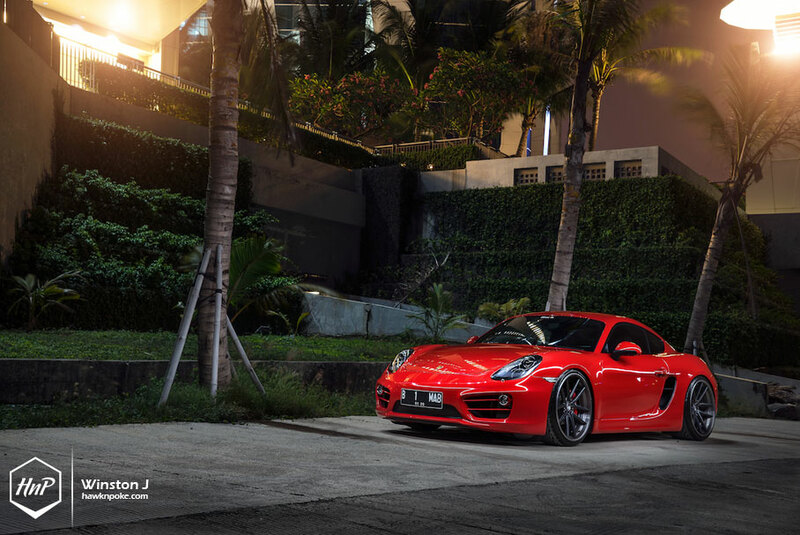 Named after the reptile, the Porsche Cayman was first introduced in 2006, derived from Porsche’s second and third generation Boxster roadster. 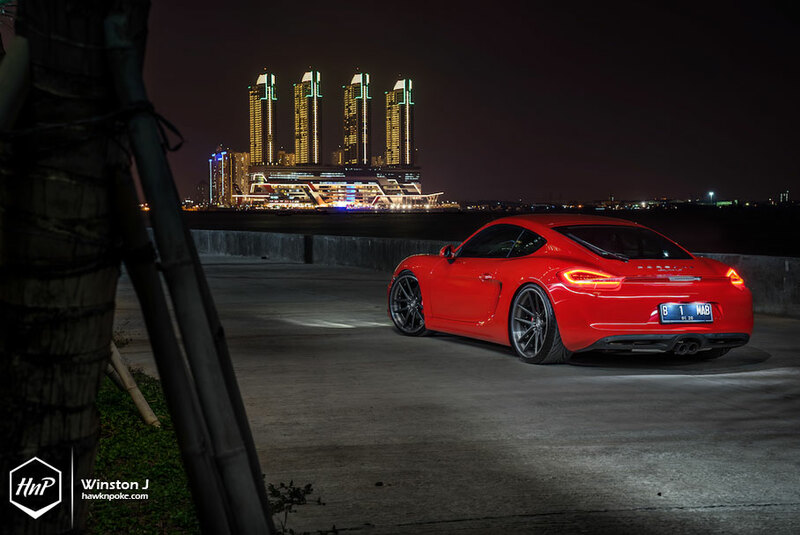 Spanning across two generations, the current coupe iteration is widely acclaimed for its track-worthy handling and nimble performance, thanks to the mid-engine layout and well-thought weight distributions. 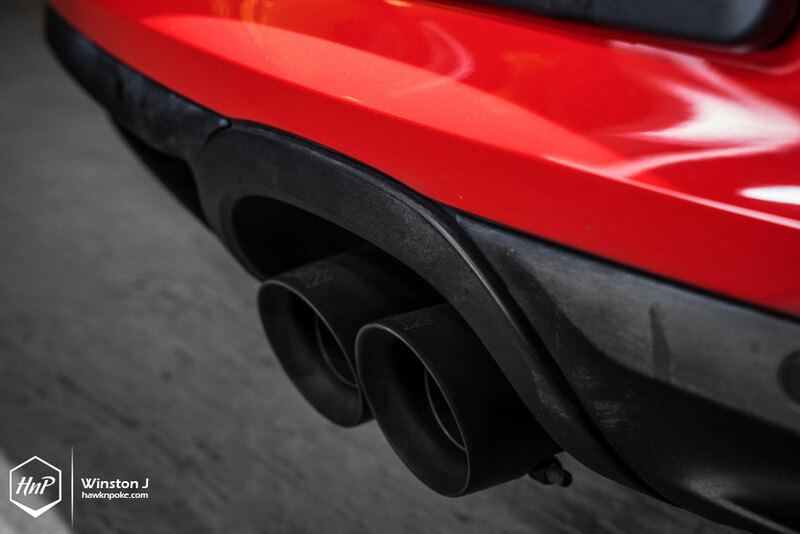 Making it one of the most capable contenders in the compact sports car market. 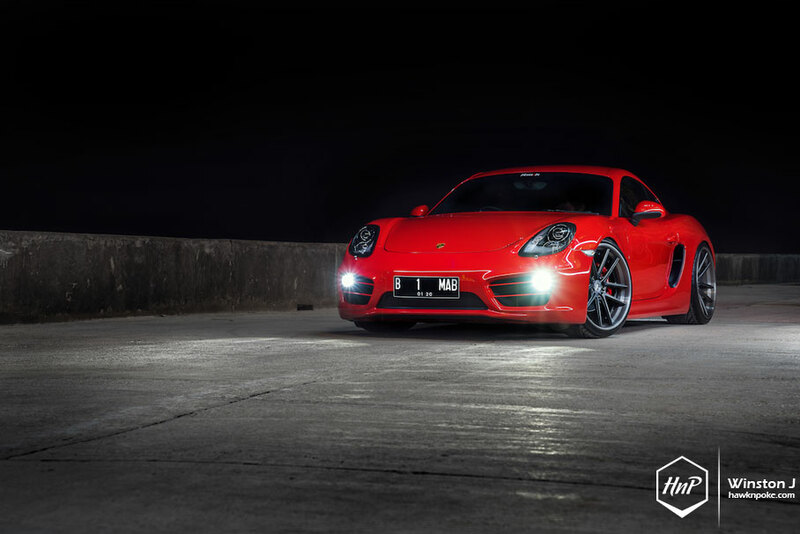 Having already owned several BMWs in the past (a 3-coupe and a 5-er), Marshall decided to take things further up the ladder this time. 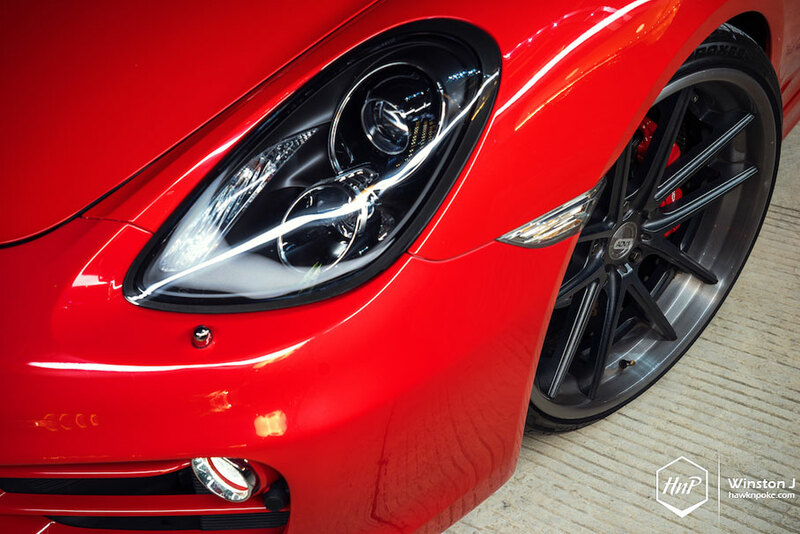 Flawlessly red in color and bearing Porsche’s very seductive curvy design, this 2013 Cayman fell onto becoming Marshall’s latest modification specimen. 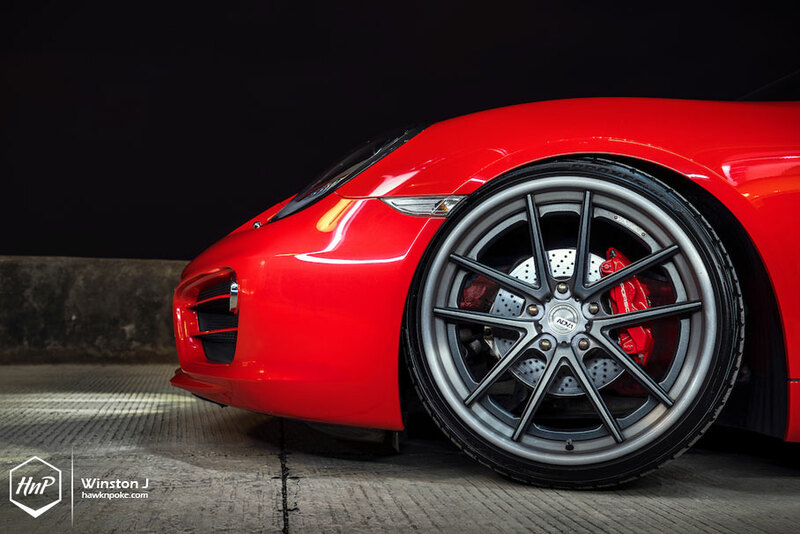 From early on he knew that aggressive lowering and wide wheels are going to be the main theme to be carried onto the coupe. 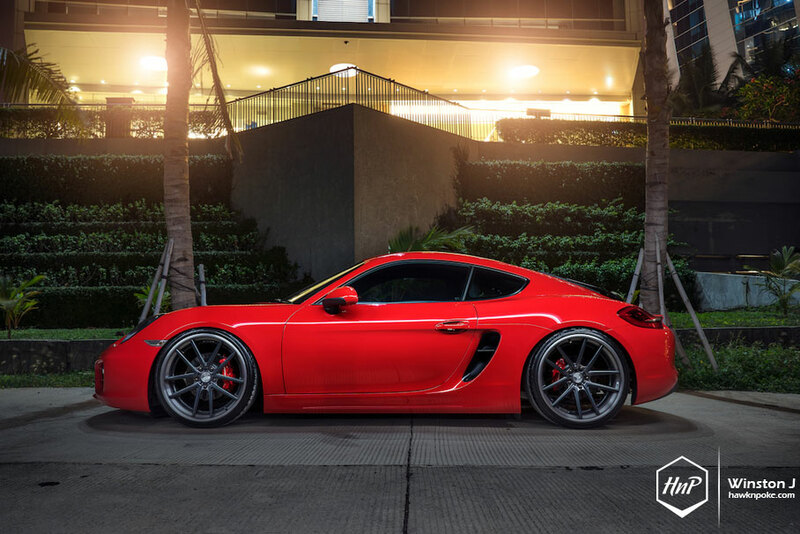 A set of 21″x9.5-11 ADV.1 wheels soon found its way onto the Cayman’s fenders. 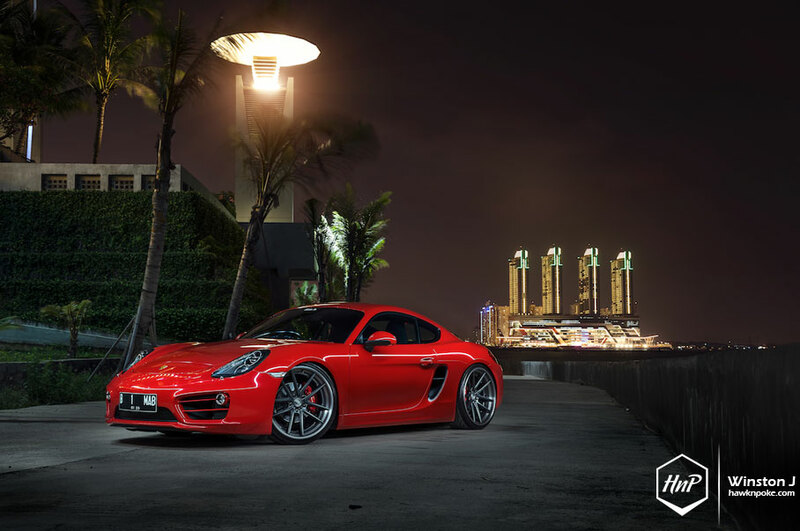 Lowered aggressively on H&R lowering and cambered at precise measurements, such a daring setup is a rather rare occasion to be found on Jakarta’s Caymans. 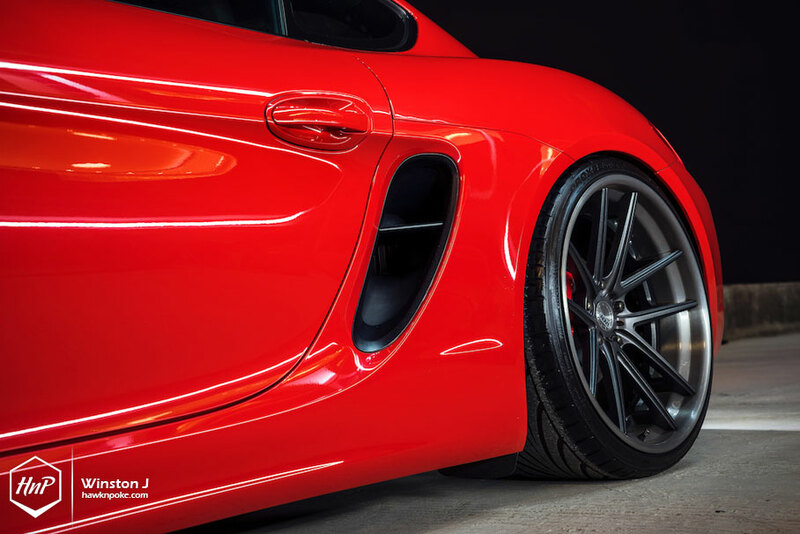 Further complimented by ARMYTRIX’s roaring exhaust system, with raw-black exhaust tips, this is the Cayman ready to devour everybody’s attention at all the car meets it’s going.